"Powerful photo editor within a compact framework. " The best part about this express version is that almost all the features of the "editor" version are available however the user does NOT have to download a thing! What I dislike about this software is that it is flash dependent. Also, the program has a limited amount of fonts that can be used if inserting text. Other than that the program is pretty robust. This editor is great for quick image processing as well as customizing pre-designed ads, banners, logos etc. If you are looking for a FREE and Autodesk quality program this is it. I have tried all kinds of online editors as well as freeware and Pixlr outshines them all in features and simple tools. It just works. Often times I am asked to convert PDF documents to editable Word documents and this software helps me edit any images or logos contained within the pdf so that they look their best in the Word version. I find that Windows' native photo editor is clunky and disappointing however Pixlr Express is quick and no bloated download is necessary. I have not had to use the pro features as of yet and so I have saved money when all I need is a reliable quick photo editor. "Great editing software, online and free. " Pixlr Express is perfect for quick edits for web, print, and social media. It has a large selection of presets ranging from subtle to artistic. I love that you can combine images, overlay vectors, and add text and bordered as well. What's best abut it is that all of this can be done, online, on mobile, or even on their app. My biggest dislike is that the Pixlr Express software doesn't have an option or tool that removes items from a photo, like if you had unwanted people in the background or trash - that kind of thing. I also think that their "stickers" section which sometimes has holiday themes could do better with its themes, provide more options and allow for customization which it currently does not - other than placement and size. Great editing tools for those that aren't familiar with more involved tools Photoshop and Lightroom, so many presets that you can choose from and easy to correct small things like blemishes or shades. It allows me to edit images for marketing and social media in a faster and more efficient way, plus it's free to use. But, since it lacks in a few customization tools, it doesn't serve as the only editing tool I use - but it is the easiest. I love that the program is free and it has almost all of the same tools as photoshop. It is very easy to use and constantly is updated. Sometimes the program will freeze in the middle of editing and if you have not saved your work yet, you will lose all your work you have done. So suggestion would be to save often! If you are not sure what software you want to choose for editing, try out Pixlr first. You will not regret it and it will definitely be the program of your choice. Pixlr Express is taught in grades 4-12 in my school district. We are designing new school logos, banners, and classroom signs. It is a way to integrate technology into a digital art concepts with a much more efficient and effective manner. "Pixlr is the famous name in the photo editing world due to its simple and fast way of editing photos"
Pixlr has range of software in the photo editing segment and I have used it's Express as well as Editor versions and both are good in the area they are deployed to work. Pixlr Express has lot of option to choose from its overlays, border and stickers menu. Features in the Pixlr are really handy and kind of experimental you have to choose different effect and then see for yourself if they work well and good if not just move to other effect. For editing the software quickly and online this is the best thing in the industry and they support lot of platform like one can use their extension as well. Giving the photos desire looks or sometimes while experimenting with Pixlr you can discover some really nice effect. I like that Pixlr Express has virtually every aspect of photo editing that Adobe Photoshop has and that it can all be accessed online. You can upload multiple images and edit each on seperate layers and also combine them. There are many formats you can save your project as. What I dislike about the program is that it a bit hard to scale up or down using the drag to size box feature. Other then that I really like the program. When I am on the go.. have my files on hand (say on a USB drive) I can just access anywhere that has the internet and wifi and boom... I am in business. "Awesome, but hard for beginners"
There is a free version that has pretty good capabilities. It's pretty akin to photoshop, without the price tag. It's not as intuitive as I'd like it to be - coming from someone with really no experience. Also, I seem to start and then get lost in the layers; it becomes unwieldy and hard to undo what I've done. I have yet to output exactly what I need. I absolutely think it's worth a try, especially for small biz, independent folks, and others who are just "dipping their toes" to see if they need an online photo editor. Quick graphics without having to run through our creative services department. These are often little graphics and images that are used in presentations, but need to be created, altered, or have some kind of effect added to them that can't be done in keynote. "Once I found pick I never went back to paint"
It's internet dependent so if your internet crashes or your having PC issues you can't use it at least the express web version. I used it doing tech support with commerce to help clients build websites. it was convenient with a wide variety of features. "Quick and dirty photo editing." The best part of this program is it's convenience. It's certainly not the most powerful photo editor, but for super simple edits, it get's the job done. For what it is, there's not much to dislike. It's nothing compared to photoshop, and has a lot of limitations when it comes to more subtle edits. However, for cropping, contrast adjustment, etc, on JPG's, it's perfectly usable. It makes cropping photos very easy. I can easily make any photo a perfect square for instagram posts. I also occasionally use it for slight exposure and contrast adjustments. I dislike that I am not able to come back and edit existing work . Pixlr express give me the ability to fix pictures in fast way. "Editing Software on the Go For a Quick Edit"
I like that Pixlr Express has the basic editing tools you need when wanting to edit a photo quickly or on the go. The basic tools work really well compared to the leading editing software programs. They also have extra options like fun overlays to make your photos have a theme. It was also fast to load each tool and application. The heal tool works well on a pinch too! I wish there were keyboard shortcuts to make the brushes bigger or smaller instead of having to click. Pixlr Express is great for when I need to edit a photo quickly and I don't feel like going into my other programs which take longer to load. "Pixlr Express: An Easy Edit Above Average"
The simplified version with the more commonly used tools easily accessible. I do not do full edits on all my photos such as resizing and cropping, only when needed. I edit the image with blending, overlays and filters. I still prefer to use an even simpler interface. I like having most used tools across the side or bottom, or boxes that expand with more options. I create graphic images for bereaved parents. 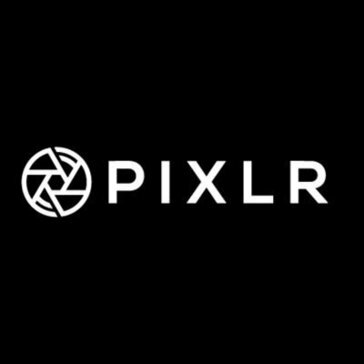 * We monitor all Pixlr Express reviews to prevent fraudulent reviews and keep review quality high. We do not post reviews by company employees or direct competitors. Validated reviews require the user to submit a screenshot of the product containing their user ID, in order to verify a user is an actual user of the product. Hi there! Are you looking to implement a solution like Pixlr Express?